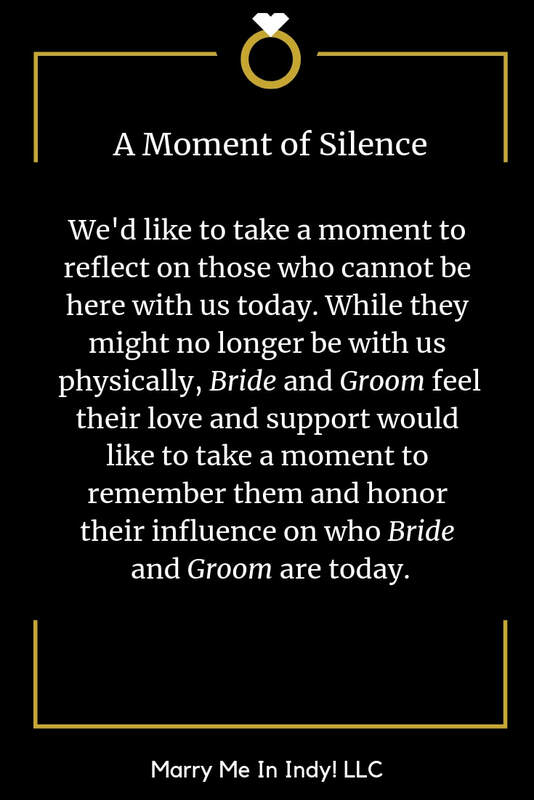 15 Ideas For A Moment of Silence in your Wedding Ceremony - IT'S ALL ABOUT THE CEREMONY! 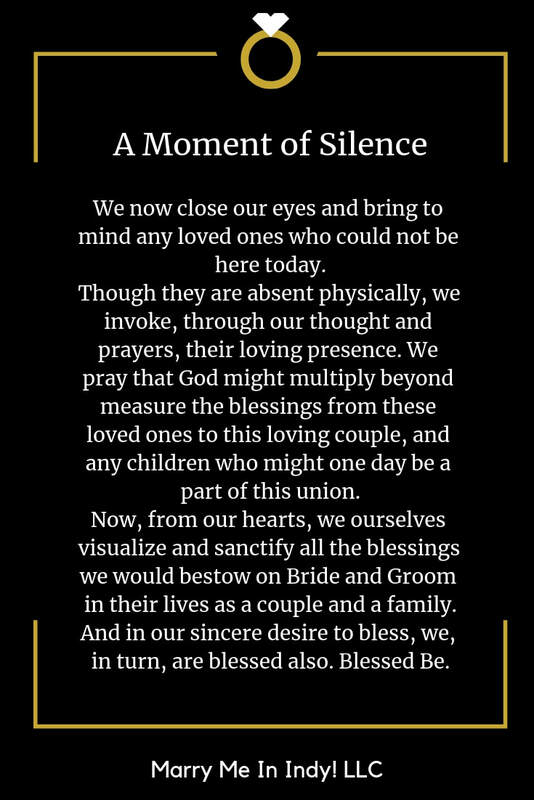 A moment of silence in your wedding is a highly personal choice. 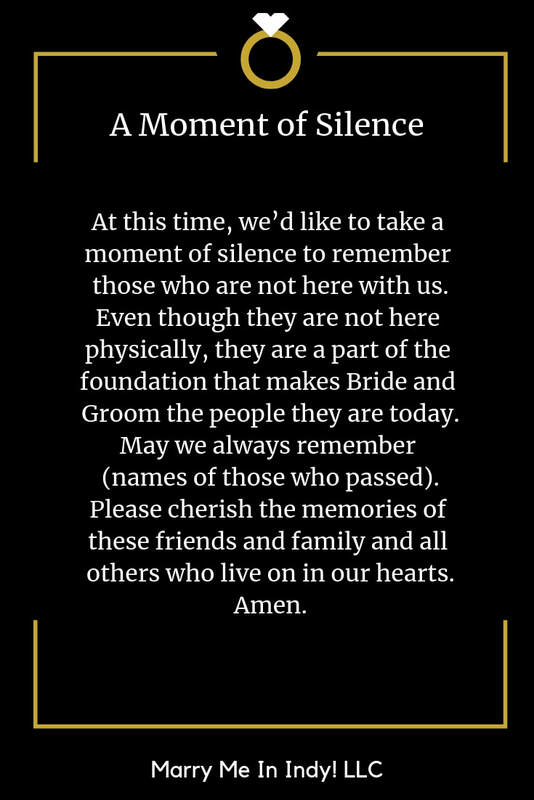 Some couples always want to remember those who have passed away during their wedding. 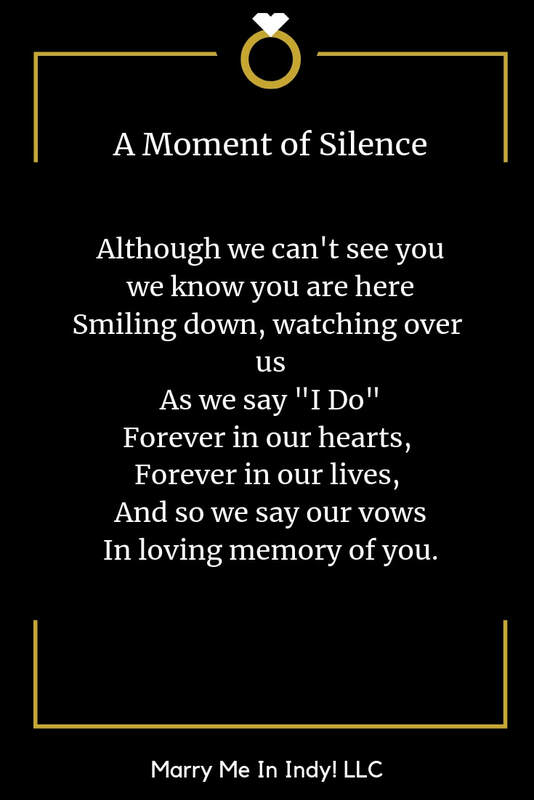 For some families it shows respect for their loved ones and it would be disrespectful not. Other couples really don't care. 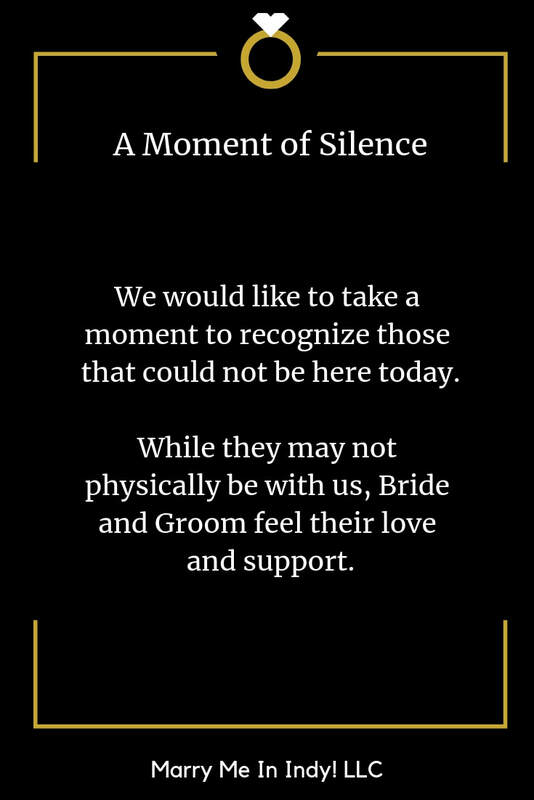 It's a day of joy and celebration for them, what's done is done, no reason to bring up the dead. 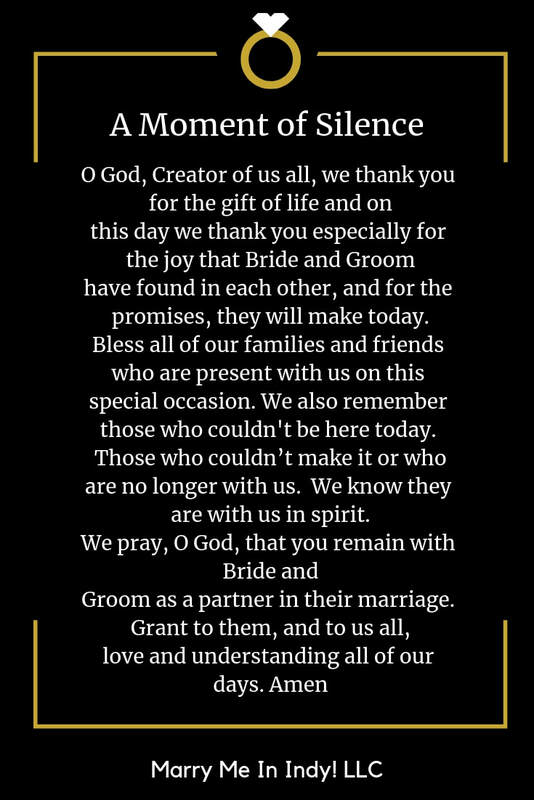 If I'm your wedding officiant, it's your decision. I don't care either way. 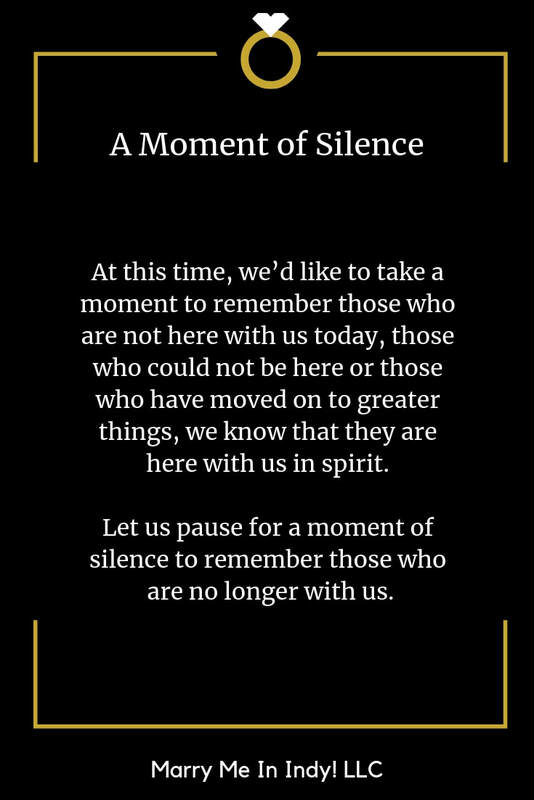 When is a Moment of Silence a Good Idea? 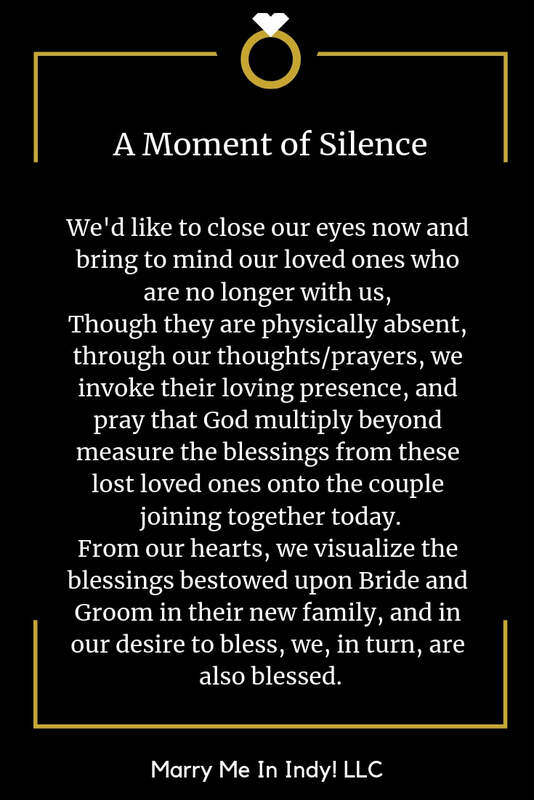 If you have a grandparent who has recently passed away and their widow is present, it can be very meaningful. 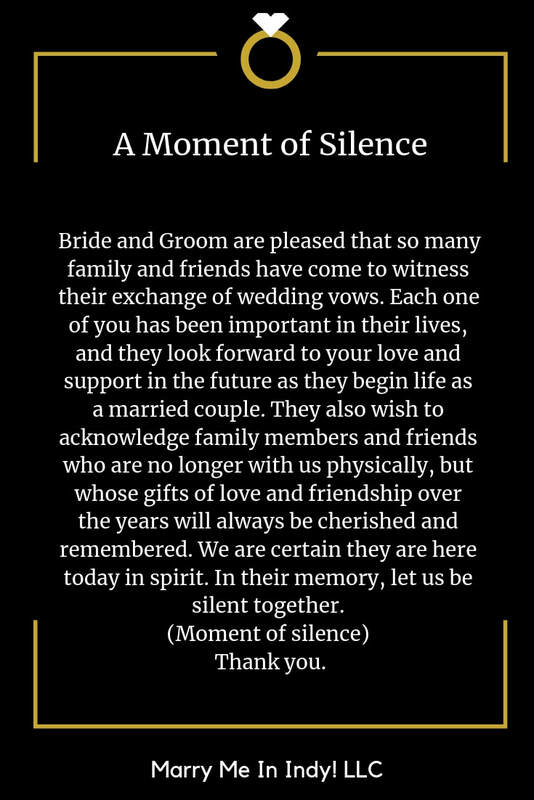 They probably talked and dreamed about being at your wedding together. Acknowledging they are there in spirit is appropriate and very sweet. 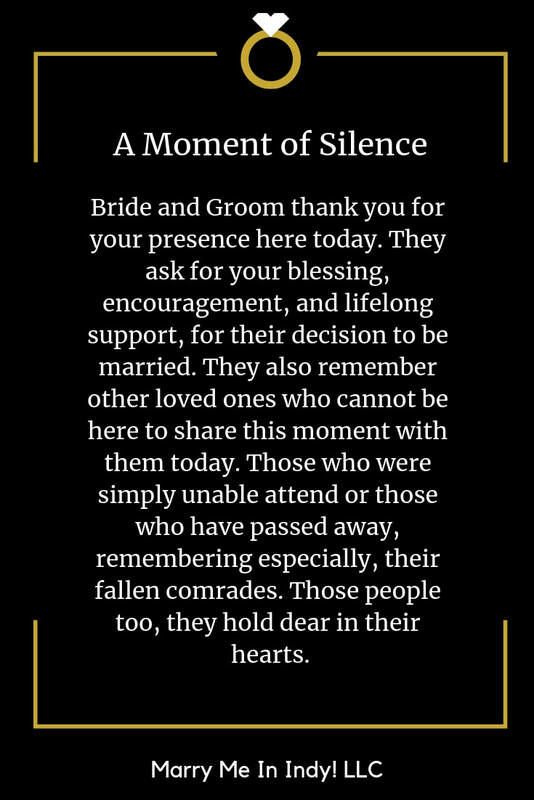 If you were in the military and spoke of being at each other's weddings someday ​and some of you didn't make it home, it's appropriate to remember those people. If everyone present is emotionally over a recent death. It's a joyful and happy occasion to remember everyone as part of your family. 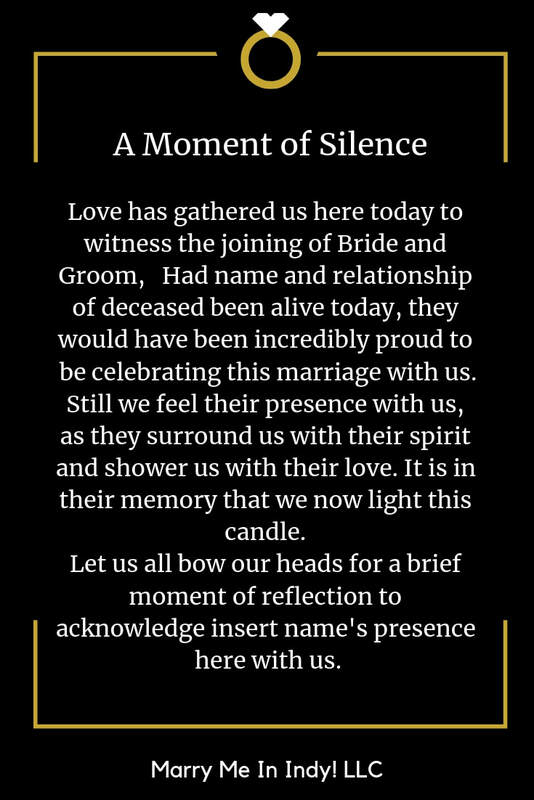 Often, something magical happens during the ceremony at the mention of the deceased loved one. True story!! 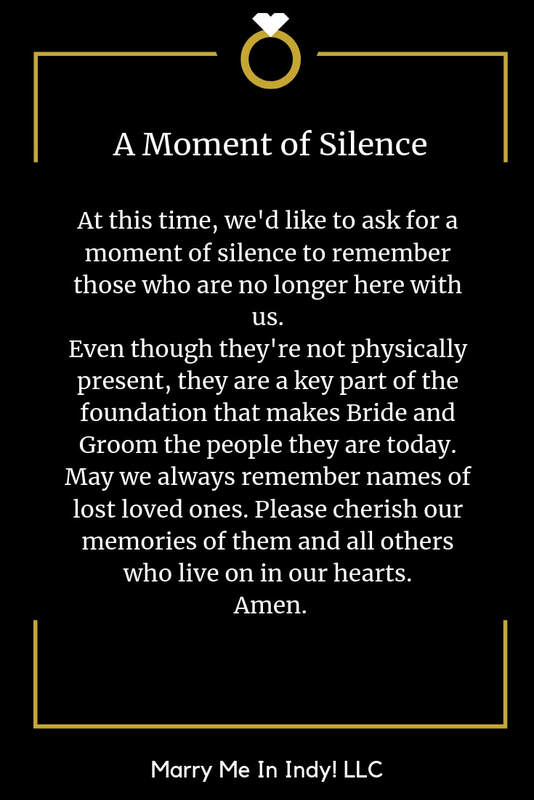 When is a Moment of Silence Not a Good Idea During Your Wedding Ceremony? 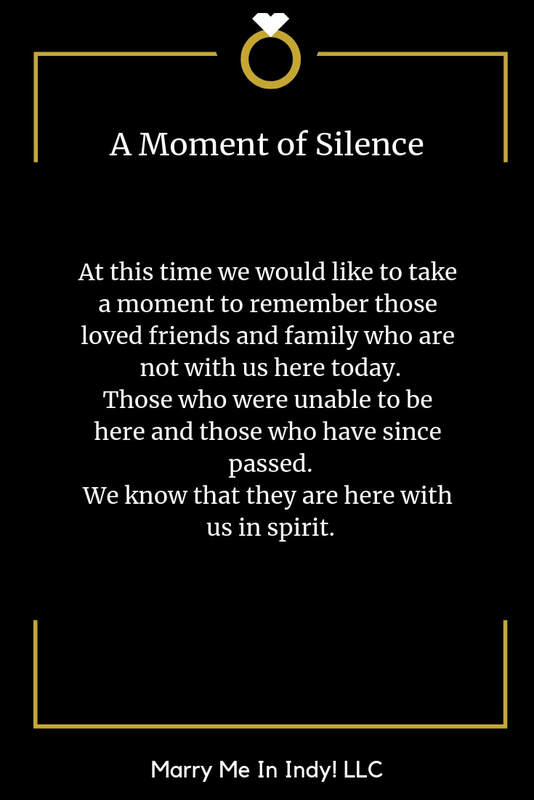 If someone has recently passed away and will be hurt. Sometimes it's just too soon. 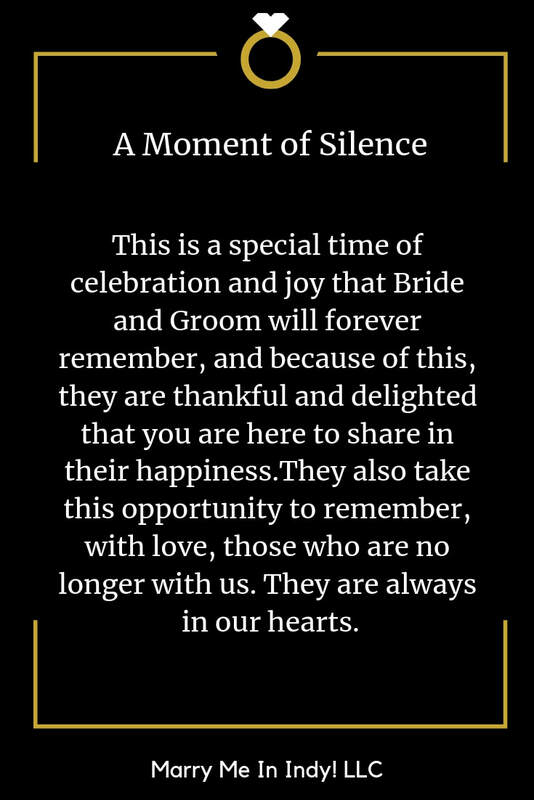 I had a bride that had literally planned most of her wedding with her grandmother and she passed away before the wedding. She was wearing her grandmother's wedding ring and carrying her memories on her bouquet. She had a hard time keeping the tears back in general. 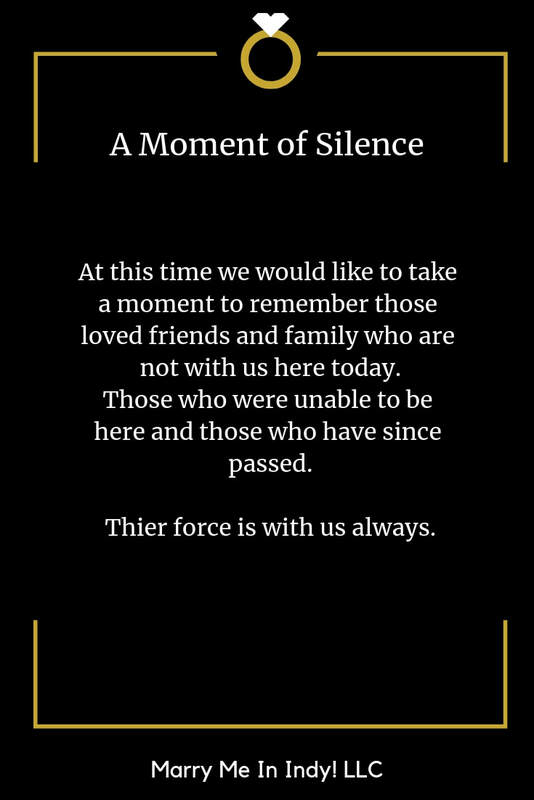 In another situation, there was another family member that would completely lose it when the deceased family member was mentioned. We just chose to keep it out.